Tito Fernández, Executive Chef at the Novo restaurant. Trained at the Escuela de Hostelería de Compostela, he started as a kitchen assistant at Labarada (Ordes) Restaurant, after which he spent time at the Pazo Villariza (Pastoriza, Arteixo) Restaurant and lastly at the San Nicolás Restaurant (Santiago de Compostela), where he worked as head chef and its co-owner. 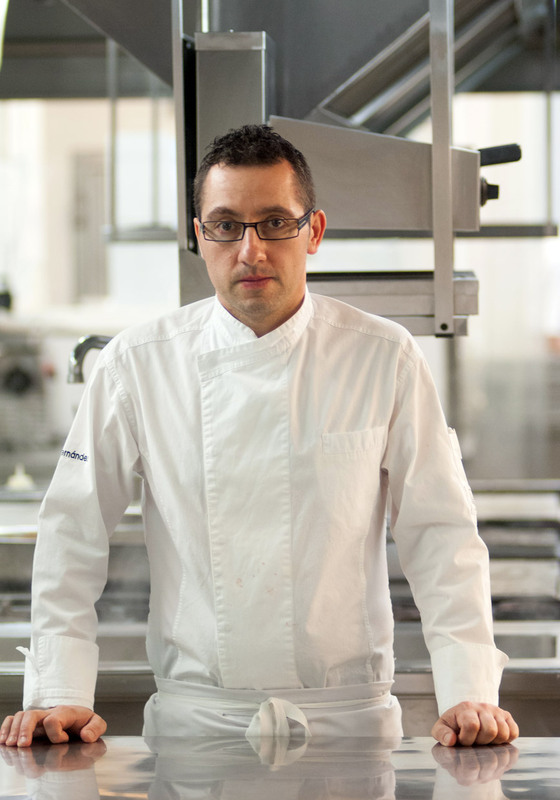 In 2007, he was also part of the team of the Santceloni restaurant by chef Óscar Velsaso (two Michelin stars). Having worked in the kitchens of various hotels, he began his relationship with NH Hotel Groups at the Hesperia Ferrol from which he arrived at the Hesperia Finisterre. His cuisine strikes the balance between tradition and vanguard, with the contribution of new techniques, the search for new flavours and the brave incorporation of new ingredients with close attention to traditional cooking. An imaginative, creative, carefully prepared and above all, appetising gastronomic proposal. Brunch, a classic on Sundays in A Coruña, redesigned!